WWW, November 2008 - A rare video with an exceptional combination: Yellowman meets the Mighty Diamonds in a gathering that is too sweet to ignore! 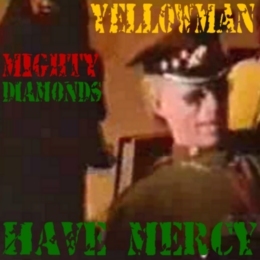 Yellowman stand synonymously with, let's say, dirty lyrics. The bulk of it was meant as a joke because Yellowman himself is severely handicapped due to the fact that he is an albino, but many have not caught the joke and maybe not everything was that funny indeed. However, none of that in this special tune. A remake of the classic Mighty Diamonds track "Have Mercy", we also hear and see the singers whose sweet voices are never too much. And we meet the King of Dancehall, as he chants along with the rhythm and the singers. WWW, November 2008 - In this video, we meet Black Uhuru with Sly and Robbie and a whole lot of other musicians in the studio. The vibe of the 1980's is perfectly captured, where the music could have been played today as well. Sly and Robbie have been using their cooperation with the vocal group Black Uhuru to produce some of the most progressive Reggae at the time. It captured the vibe of the time, just like Burning Spear and Bob Marley had done before, which led them to introduce Reggae to a new audience. When they produced "Bull In The Pen", Sly Dunbar was heavily involved in the digital drum kit, which he used in ways nobody had done before. We see him playing along with Robbie Shakespeare and a lot of other crucial musicians. WWW, November 2008 - Black Uhuru's name is inseparably connected with the names of Mikal Rose, Puma Jones, Duckie Simpson, Sly and Robbie. In this video, we see only one of them. Don Carlos and Junior Reid are two great Reggae vocalists who have been members of Black Uhuru throughout the group's history. In this video, we team up with Junior Reid as the lead vocalists with Duckie Simpson as everlasting member of the group. Junior Reid obviously has the voice that keeps everything together, while many people will surely miss the drum and basslines by Sly and Robbie as well. Still, this is not a video to skip, as we see Junior Reid doing a wonderful performance. 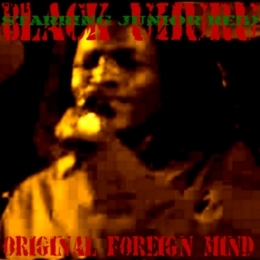 Original Foreign Mind in itself has become a classic, which says a thing when considered neither Sly nor Robbie was there. WWW, November 2008 - Luciano meets Sizzla, and together they go up to the hill of the Bobo Shanti Rasta. To chant down Babylon, and to congregate among brethren. In this 1996 video, we see the Messenger as he wants to find a place to rest. Suffering in the ghetto's, wars and rumors of wars, death and destruction takes it's toll and it's not just the ones who die that suffer. As we walk along with him, we land in Creation, in Nature, where Jah Works are seen and felt and freedom is tasted. We meet Sizzla and he receives more power during his meeting with his brethren and with the Creator as he trods through creation. WWW, November 2008 - Hammersmith Palace was the scene for an energetic, lively, conscious and above all historic event, when Prince Lincoln and the Royal Rasses performed. Right after the introduction, the band starts playing an impressive intro. Of course, you must have been there to feel it, but the vibes still radiate from the screen when watching this video. When Prince Lincoln enters stage, the vibe is right and the tones are set. The horns start to play, the Prince starts to sing, the music flood like rain. WWW, November 2008 - In the 1990's, there was an explosion of Drum and Bass, or Jungle, or whatever the name was. The music was brand new, and it sound like this. 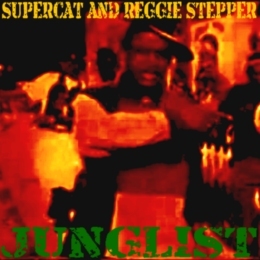 Supercat and Reggie Stepper get together for an extremely danceable tune: It's called Drum 'n' Bass, or Jungle: an ultra deep bass with a breakbeat on top of it, et voila: there was a mysterious combination of highly energetic drums and an ultra-cool bassline. The Sound of the Nineties: check it! 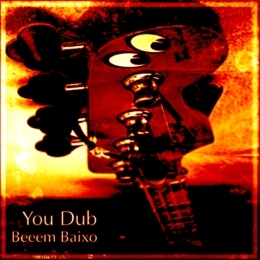 WWW, November 2008 - DUB Poetry is where several forms of Art meet each other in Reggae Music. It started in the 1970's, and in 1992 it sounded like this. 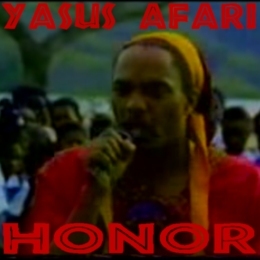 The music is digital, the poet is Yasus Afari. He is keeping up the tradition of DUB Poetry in Jamaica, and he does so from his consciousness as a Rastaman. 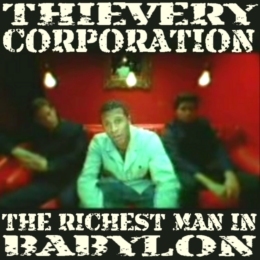 In this video, we see and hear him chanting down Babylon's new world order. Straight to Babylon Head! WWW, November 2008 - In this 1979 TV performance by the UK group Still Cool, we see them singing the tune that is a classic until this day. Don't ask me what these vinyl scratches do in the sound. This is not your average You-Tube clip, where you hear a tune and see photo's: we see the singers as they playback on the tune. This 1979 video clip is, just like the singers, still cool. An incredibly sensitive UK Roots tune, that unfortunately has a theme which is actual even today, almost thirty years after the video was recorded. WWW, November 2008 - Before he started Rebel Salute, before he became known to the world as another conscious DJ of the time. Tony Rebel was already going strong. Jamaica, Land of Food and Water. That name was given to the Island by the original inhabitants, before Christopher Columbus and his gang of vampires turned it into a big plantation. 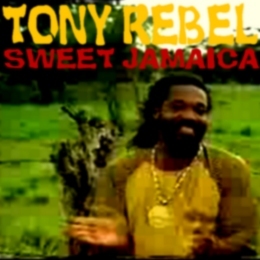 Jamaica, also the birth place of Tony Rebel. He grew up feeling what it means to be at the receiving end of Babylon System's ugly shitstem. He saw the dances getting hotter, as cokane and violence flooded the island, and decided to do something about it. 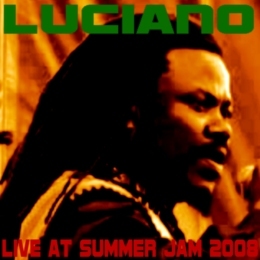 Together with people like Luciano, he was part of what some call the "Rasta Renaissance" in the early nineties. "Sweet Jamaica" was one of the tunes of the day. 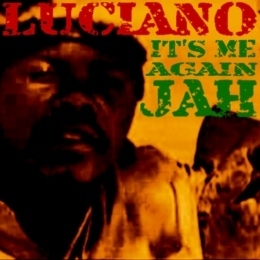 WWW, November 2008 - In 1993, Luciano introduced himself to the people of the world, and to JAH, with an impressive musical track and video clip. Luciano, aka The Messenger. In the early 1990's he entered the global scene with a new kind of Roots Music, dubbed by this website as "contemporary Roots". It was a time where cokane and violence ran the dancehall and violence ran the place more than ever before. Nowadays, we know him as a long dreadlocked singer, but back in the time he was still growing them. He was growing his faith, too, but by looking at the video and feeling the vibes in the music, you can easily see that that faith was already solid as a rock. WWW, November 2008 - A Video Clip with DUB Poet Linton Kwesie Johnson is kind of rare. When it's played on MTV, it's even more rare. 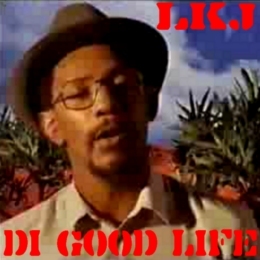 When LKJ entered the scene, the music that came with his poetry was deep, and hard. DUB effects and everything was there. In fact, it was LKJ's "Five Nights Of Bleeding" that got yours truly hooked on Reggae, somewhere in the early 1980's. In 1992, the vibe had totally changed. Dennis Bovell, the musical genius behind LKJ, had taken himself and his musicians to higher grounds and they started to experiment with other styles, which they integrated with Reggae. The result could be an upfull, ska-ish track with Africa style guitar licks. WWW, November 2008 - Usually, they are in the background, barely mentioned, while in fact they do all the work. 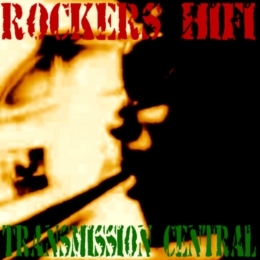 Channel One Studio Band the Roots Radics ask your attention, please! Sly and Robbie were part of the first Studio Bands of the legendary Channel one studio's in Jamaica, where just too many Roots Rockers and Rub a Dub is recorded to mention. After the Aggrovators and the Revolutionaries, it was time for the studio to come up with their third band. The name was the Roots Radics, as they played one Rub a Dub after the other into the multitrack recorders at Channel one. They are barely mentioned on the albums and the concert posters, when they performed to back this singer after that DJ. They played album after album, where only the DUB engineer took the credit. 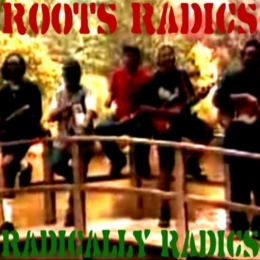 Here is the Roots Radics, starring: The Roots Radics! WWW, November 2008 - One big party going on, as the MC's Clint Eastwood and General Saint pop up on stage with a full blown band to make some fun at the UK based "Old Grey Whistle Test". "Another One Bites The Dust", is the title of the tune the DJ Duo performs. They were known from their world hit "Stop That Train", as representants of Rub a Dub Style in the World Charts. And no, that is not "World Music". For every music is "World Music". 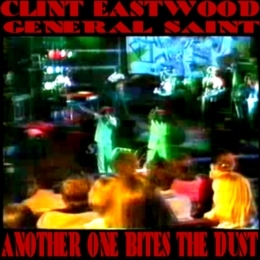 Clint Eastwood and General Saint have a lot of fun together with the band and the audience, as they perform what was then a brand new Style of Reggae. WWW, November 2008 - In the 1960's, you had skinheads who liked Ska music and were usually seen as rude boys. No, this is no typo and this is not about neo-nazi's either. In the end of the 1970's, the UK witnessed the birth of the "Two Tone" movement. It was a Movement with a philosophy and with a music, too. The name of the music was a bit deceptive, though. It was basically a Reggae rhythm with the drums playing on the 2 and the 4 with the skanks between the counts, where the bass continued to play a reggae-ish line. It sounded like Reggae, but it was not Reggae. However, ten years before that, Jamaica also had a music called Ska. 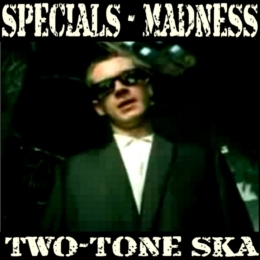 Two-Tone was also an answer to the rising army of neo-nazi's who called themselves skinhead. We can see them in the streets today, even, too. However, what most neo nazi skinheads do not know, is that just like Ska, also the skinheads were originally found in Jamaica. Two-tone had the mission to tell the skinheads about their Toots, and they did so with a lot of music. Here are two of these bands. WWW, November 2008 - After a few atmospheric impressions of a rainy day at Glastonbury festival, we go straight into a majestic performance by Sly and Robbie's Black Uhuru! As the rain falls down, so does the music. A very strong set played by Sly and Robbie with Black Uhuru during their best days with Puma Jones, Duckie Simpson and Mikal Rose falls over the audience that soon forgets the rain and start chanting along as the band plays Sinsemillia. The rest is history, which can be seen in this two-part impression of a peace festival somewhere in the UK during the early 1980's. WWW, November 2008 - You guessed it: A tribute to the Mighty, Mighty sound of the Horn Section. However, this is a tribute of the Horn Section where you might just not expect it: in the usually very digital realms of UK DUB! As we step from one crucial DUB into the next, the Mighty Horns are everywhere without taking us into a vibe where only those that "also like jazz" would love to stay throughout the entire length of this podcast. Unless you really don't like DUB. But then, you wouldn't be here reading this. 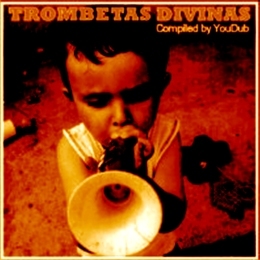 So, let's step into this tribute of the Mighty Horns as we go from crucial and deep UK DUB into the next. Many Zion Train projects are present, like the Tassili Players and Love Grocer. Dennis Bovell is there, the man behind just too much DUB to mention. Vibronics, and the German based Sir Larsie-I: All in all, just too much niceness to be left un-downloaded. WWW, November 2008 - He works in Switzerland, Italy and Germany as an acclaimed Techno/House DJ. Just what would he select for 1 hours and 40 minutes of Dub, Roots and (other) Reggae? DUB has been more than influential in the eventual creation of electronic Dance music: a thing you can read on many Dubroom pages. Ever since King Tubby cultivated the skill of mixing into a work of Art, people have been developing their own style over the concept. A concept of drums, bass, and effects. A concept wherein instruments drop in and out rather than playing solo's et cetera. A concept wherein just one or two lines of singing have more effect than many full lyric tracks. Listen to certain UK DUB, and you will hear a style that many Reggae fans will not even (want to) recognize as a form of Reggae. Add to that, a lot of Reggae fans have a lot of dislike for contemporary digital music. On the other hand, we do find that a lot of House/Techno producers and DJ's will know all too well just where their music is (partly) coming from. A lot of them have a love for Reggae, and especially DUB. One of these DJ's is DJ I-smash, aka Psysmael. He works for Swiss radio, organizes festivals and is a wanted guest on parties in Switzerland, Italy and Germany. He can tell you all about electronic music and knows how to spin a few records. In this mix, however, he doesn't "go techno". Quite the contrary, actually. 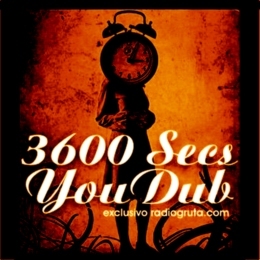 In one hour and forty minutes he shares some of his (DUB) Reggae favorites. A look at the playlist might surprise you. 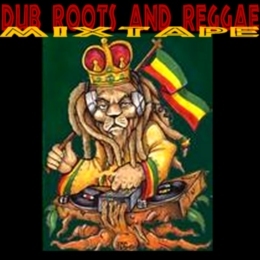 The music is mixed one track after the other, sometimes with a little effect but mostly just a no-nonsense non-stop mix of some of the most heartical DUBS and other Reggae out there. WWW, November 2008 - Brethren in Canada? Sure thing! It's not only the title of one of the tracks in this highly danceable mix of Jamaican, UK and Canadian Reggae, it's a statement of fact too. Canada's Reggae history is almost as old as Reggae itself. When Jackie Mittoo settled down in Toronto in 1969, he was one of the first to introduce the music to the second largest country of the world. He wasn't the last, either. Roots singer Willi Williams, for example, is another one. The list goes further and shows the long time relationship of Canada with Reggae Music. 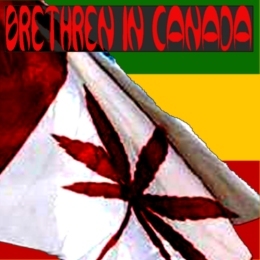 Brethren in Canada? Of course! The people behind the Toronto-based Dub Connection Podcast give us a few crucial Canadian Reggae tunes and combined them with some of the better works from Jamaica and the UK from roughly the early 1980's until now. The result is a highly danceable mix of several styles of Reggae Music: Rub a Dub, Ragga, Dancehall, UK DUB, Roots, et cetera. Definitely not a mix-up without structure, definitely not a mix without quality. 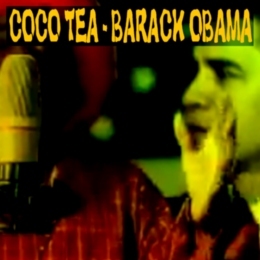 WWW, November 2008 - When the first black president of the USA announced his candidacy, Reggae singer Coco Tea created a tune plus video to voice his support. Regardless of the many justified arguments against the politicks of Barack Obama, the fact that November 2008 marked the time in which the first Black Man enters the White House as president of the USA was and is something to rejoice over. Especially, when you are a Black (wo)man in the USA or even in other countries of the world. In the night it became know that he was (s)elected to be that first Black president of the USA, people all over the country went crazy for joy. Hope and happiness could be read on everybody's face. The campaign that brought Obama to the White House, started somewhere early 2008 and this was also the time wherein Reggae singer Coco Tea did a thing to express his support for what later turned out to become the first Black president of the USA. 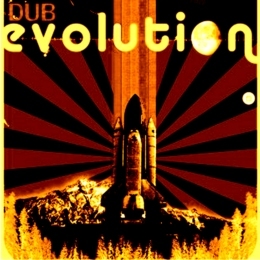 If you want to know what the other side of Dub is, you might as well check out the other side of Reggae too. What is the other side? What are the other sides? Well, at least one of them is a side that is not easily recognized by people in the western world, the so called first world. And that is, that Reggae Music is first and foremost a Sufferer's Music. It's born in Jamaica, under the most heavy conditions. Many tunes were produced while bullets were flying around studio's in what was just another gangster war. How do you think you think you play under circumstances like that? Another, yes yet another side is the musical technology that was used in the days when Reggae was developed. Studio's like Channel One and King Tubby's DUB Laboratory were created by technical experts who were able to create sound equipment with material that musicians in the West felt too good for. Yes, even the school-bands who can't even get a single tone right. What many perceive to be the "charm of Reggae" (especially the older recordings), is directly related to all these conditions. The rough sound, and the heartical vibes come out of the soul of the sufferers. Perhaps the most extreme example of this is the legendary STUDIO ONE. Many of the basslines that make Reggae Music were born in that studio. Decades later still going strong! With nothing more then a two track, and later a four-track Coxsone Dodd literally recorded the start of so many of Reggae's legends. You name them, they started at Studio One. And you hear it. 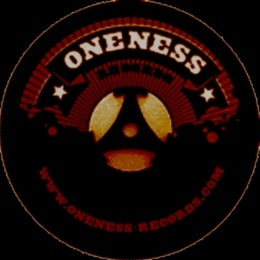 Because the sound of Studio One stands symbolic for the fact that Reggae Music is first and foremost a sufferer's music. And that's the other side of Reggae. And with that, the other side of Dub. It's a great album, a classic among the classics. In a nice combination of versions (dubby instrumentals) and Toasting Tunes, you hear how only true masters managed to get a sound like this under conditions like that. And the Lone Ranger? He was the Toaster or DJ at Studio One. Toasting is Reggae Rapping. Or actually, Rapping is R&B Toasting. Just another side of Dub. On The Other Side Of Dub you can hear the Lone Ranger toasting. And while you do, you can rightfully wonder why you perhaps know so little of him. Because the Lone Ranger is just as good or better than toasters like Dillinger and Trinity. So there you have a lot of reasons to buy this album. 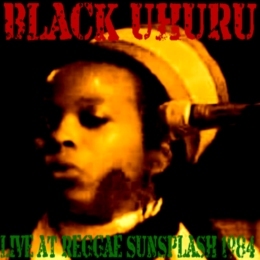 First, it is a proof of the fact that Reggae is a Sufferer's Music. No doubt about it when you hear this one. Second, it is an impressive document of the technical skills of players, vocalists and producers at the legendary Studio One. 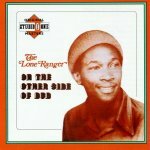 Third, Lone Ranger simply is one of the top toasters of Jamaica during the 1970's. This is a really great sampler of Jamaican Reggae Music as it was played in the late 1970's, early 1980's. Almost a decade worth of music on one album, and every track has his own story, relevance and niceness. Good for friends, connaiseurs, music lovers and dj's. Mmm... Someone did a very good in compiling this album! Many different styles are presented to the listener, all of them based around the production skills of Mike Brooks. Long parts of stricktly drum and bass with vocals on top. 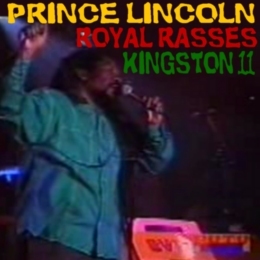 Early dancehall or Rub a Dub style Solid drum and basslines! Deep Roots freaks you to every corner of your mind because of the deep phasers, accompanied by lyrics sung from the heart. Straight up Rockers in the classic Revolutionairies Style: militant and forward. Guaranteed to make everybody move and Groove To The Riddim. And if that doesn't convince you, simply take a look at the All-Star list of vocalists and know they are all backed by the classic groups that CREATED the music we now know to be a part in our souls. When you take a look at the list of friends with whom Mike Brookes made the vibes during the period of 1976-1983, it becomes clear that the word "just" not only a mere understatement, it's totally misplaced! Barry Brown. Don Carlos. Jah Lloyd a.k.a. Jah Lion. Errol Dunkley. Man oh man, this really rocks hard! Horace Andy. 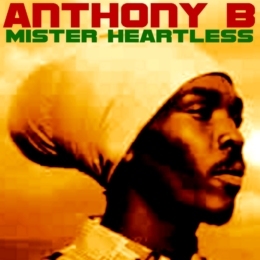 One of the most remarkable vocalists within Reggae Music fe real. 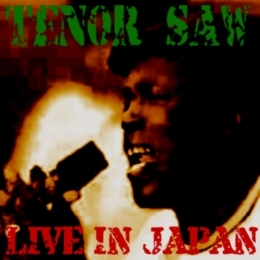 As a young boy, he's singing tunes at Jamaica's Studio One as a natural talent. 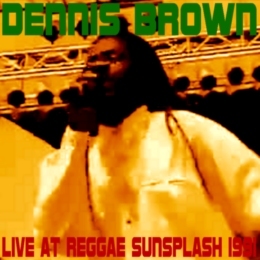 Decades later, he is a top-class singer who rides a digital riddim with big ease. Many will recognize his voice as the singer in the world famous Massive Attack track "One Love"! 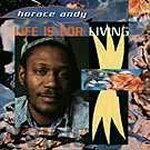 Massive Attack has surely brought Horace Andy to many people's attention. Being the huge Reggae Fans that they are, they probably felt more honoured to have Horace Andy sing for them then vice versa. And they did Reggae Music a great service by introducing Horace Andy to the general public. And not only Horace Andy, by the way. They have also made excessive use of the services man who holds the scepter in ARIWA studios. 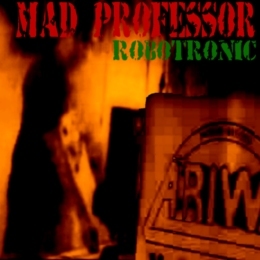 Yes, the Mad Professor! Now take a way the trip-hop beats and leave Mad Professor and Horace Andy do their own thing, and you'll get a product which naturally exceeds any Massive Attack productions in quality and spritual vibrations. What you'll get is Life Is For Living". Horace Andy singing over Ariwa Riddims, skillfully mixed by Mad P. himself. When you're browsing through the Reggae CD's at these mega stores, you are bombarded with all kinds of compilation CD's of which sometimes the covers already say enough. "DON'T BUY ME", they scream. There's a big change you're going to skip this one too. The picture on the cover isn't really attractive, and we've seen too many albums with titles such as this one to be convinced that it really describes the content. And this is definitely not the ultimate Reggae Dub and Riddim collection. Obviously. However, if I were you I wouldn't skip over this collection too soon either. Because it really does give you a good impression of Dub music. Two discs carrying pretty interesting stuff! Full albums that can really be considered crucial, along with some very nice singles, this collection really is packed to the max. 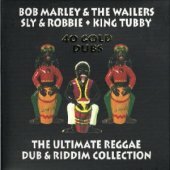 What to say about the full album DUB ROCKERS DELIGHT, simply presented as a collection of Sly and Robbie dubs on this "compilation"? Tunes which have been sung over by none less than Don Carlos and Lacksley Castell. Yes, that one surely is crucial. The album is followed by a selection of King Tubby mixes of riddims layed down by Sly and Robbie in the Channel One Studio. Before the Roots Radics became the Channel One Studio Band, Sly and Robbie have been the backbone of two preceding studio-bands: the Aggrovators and the Revolutionaries. Their sound is legendary until this day. Listen to the set of Bob Marley "covers" that they played back in the 1970's, in stricktly DUBWISE STYLE. 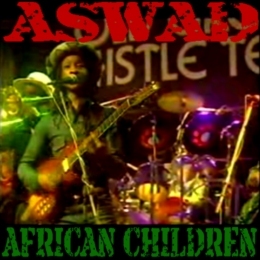 The second disc is packed with riddims played by the Wailers and the studio band of Lee Perry's BLACK ARK. 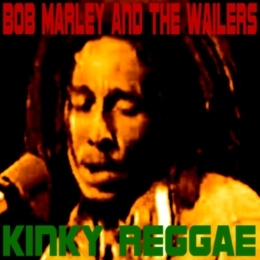 This shows a side of Bob Marley's work that has not often been heard by the average Reggae fan. Many stories have been told about this period of Bob Marley's progression. Not the least one is that all the recording he did with Lee Perry seemed to have been pirated by the latter. 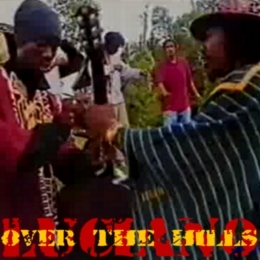 At least, according to Bunny Wailer in a documentary broadcasted by the BBC. But of course that doesn't take away anything from the quality and relevance of the tunes on the second disc of this noteworthy compilation. The music has been played with JAH love and you can hear that. 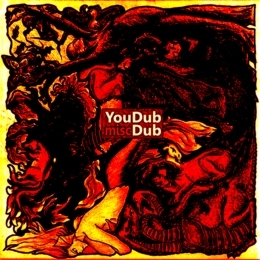 All in all, I would definitely recommend this compilation each and everyone who is interested in Dub and Reggae, as it gives a really good idea about just three aspects of this great culture. But "The Ultimate Reggae Dub And Riddim Collection"? Of course not. Because that collection consists out of 100,000's of albums fe true. And sure it must be somewhere, but where? When you want to buy Reggae Music, having a bit of background knowledge can proof to be quite fruitful. The way albums are presented and credited is often different then how this is done in western music. Let me give you an example: it might be that you like the singer Yabby You very much. You know his albums One Love, One Heart and Fleeing From The City and you think it's great. So when you would see this album, Dub It To The Top, you might think it's another album which features this singer Yabby You. Yabby You is indeed a singer, but also a producer. He is the one who discovered one of my all time favorite Reggae singers: Michael Prophet. The mighty King Tubby has mixed plenty of Dubs for Yabby the producer as well. And both are present on this album, but you won't see a mention of it in the title. It's a part of Reggae Culture. Because now Yabby's skills as producers are highlighted and another time his skills as a singer. 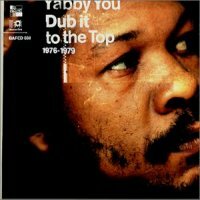 Dub It To The Top is an 18 track collection of great DUBS by tracks which Yabby (helped) produce(d). 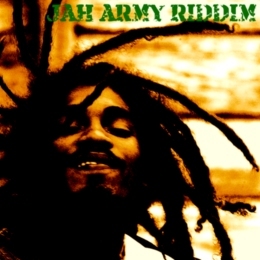 Many of the riddims are well-known in the inner circle of Reggae enthusiasts. The first part is reserved for some crucial and militant Rockers music mixed skillfully by the Master. The second contains brain-smashing dubs from some of the hottest Michael Prophet tunes. You must buy this album! 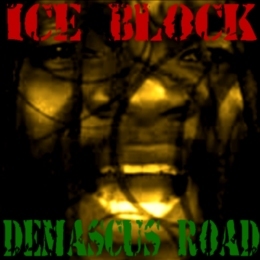 The versatility of possibilities within Reggae music becomes apparent when you realize the different vibe in each tune. Heavy dubbing, jazzy vibes with hornsman Tommy Mc Cook blowing his way over the rhythm. 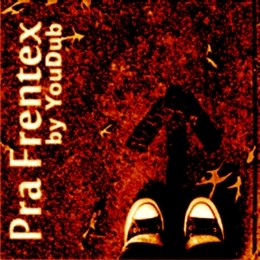 Vocal snippets from singers and deejays echoing on top of essential drum and bass lines. And the styles are manifold too. Don't ever think that Reggae Music is just another style, no it is a RHYTHM with many styles and varieties. On this album you'll get acquainted with some of these styles. In a period of just three years, Yabby managed to produce some crucial Rockers music as you can hear in the first part of the disc. And in the second part you'll be introduced to some early Rub a Dub music, dancehall music before it became the coke headed babylonian style shortly after Bob Marley's death. 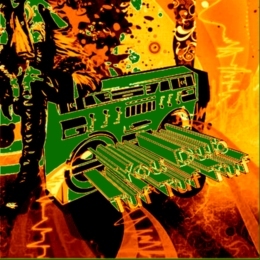 All tunes have been used by Reggae Singer MICHAEL PROPHET (One of Yabby You's Discoveries, along with Black Uhuru's Michael Rose) who you can hear throughout the many crucial DUBS that Blood and Fire put on that second part. In fact it wasn't Blood and Fire who did the selection. They just reissued "Yabby You Meets Michael Prophet: Vocal & Dub". 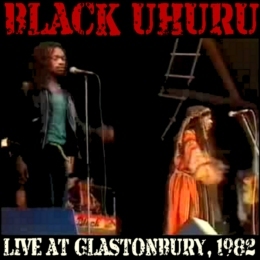 And according to the LINER NOTES that come with this release, the "crème de la crème" of Jamaican Dub participated on it. But you don't have to read these notes to know this: the sound speaks for itself. Dub it from the top to the very last drop in this essential course how to dub it to the top! Get ready for a Roots experience, brought to you by true masters of the genre. An all-star list of musicians playing a skillfully arranged style of Reggae Music that will keep you rocking from the top to the very last drop. Joseph Hill and his fellow singers riding the rhythms like cowboys drive their horses. So of course this album will satisfy your hunger for more after listening to other Culture albums. Just for a while, though. Because you'll want more, and more, and more. Culture's raw and engaged vocals have impressed Roots music lovers ever since they marked their permanent place in the Reggae Top with their debut. And the tradition is continued with Harder Than The Rest. This combination of truth and right with righteous reggae has proven to stand the test of time. Yes, that's why it's called Roots, you know. It can't dead. Album after album after album. If you want to know what is Rockers Music, well, then you can always put this album in the player. 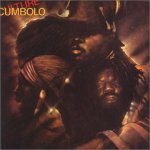 Culture's Cumbolo is a school example of Rockers Music fe true. And not just, because Sly and Robbie lay down a solid foundation of Drum and Bass for an all star list of musicians to fill with incredible horn themes and tight riddim skanks. Not just, because when you approach the album in a technical way you will find that this is solid music based on well thought of ideas and themes. For there is more to Roots Music than just the technical approach. It has to do with the contents of the lyrics as well, and how they are brought. And that is exactly, where this album enters. 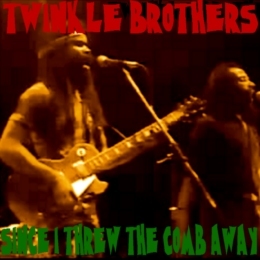 Righteous Rastamen singing truth and right from the depths of their souls. Yes, this is Rockers. Stricktly Rockers. It makes you relaxed to fill you with energy again. It makes you strong when you feel weak. It makes you long for more. 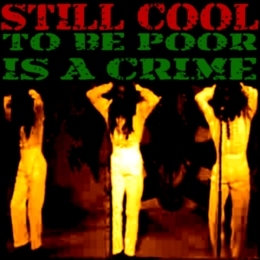 Peter Tosh once called it "Reggaemylitus" and right he was. You'll get hooked fe true by listening to music such as you can find on Cumbolo, truly one of Culture's strongest albums. There is a reason why so many artists can be very good and never ever will be able to reach to the heart and soul. 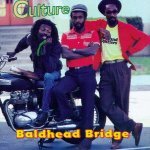 There is a reason why vocal groups such as Culture have impressed so many with their debut Two Sevens Clash and the follow-up album Baldhead Bridge. You guessed it, it has nothing to do with talent. Not really, that is. And it has also nothing to do with getting the best musical education in the world. There is not a trick in the book to reach the heart. Well, it's not really a trick. It might have something to do with the strong conviction that the members of Culture display in their music. An awareness of Babylon combined with a desire to speak out for JAH and truth and right. Maybe that's why some will always wonder why they love Culture Music so much and yet may never be able to know why. Baldhead bridge is just one example. When you listen to the music and meditate over the words, you will feel it and know it. In Reggae Culture, we can find many harmony groups: one lead singer and one or two, or even three back ground vocalists. Just thinking of a few isn't really that difficult: Israel Vibration, Black Uhuru, Wailing Souls, and of course Culture. 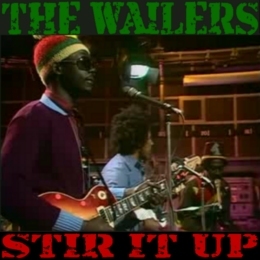 And we shouldn't forget that the Wailers originally started out as a vocal trio too. Culture ruled the Jamaican charts when Bob Marley and the Wailers were riding the international charts, and that gives an indication to the relevance of the works of Culture. 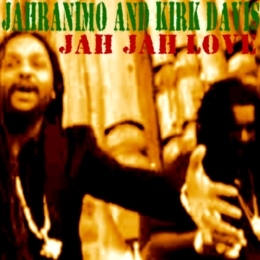 This album will introduce you to Culture at work: catchy riddims, vocals from the heart. Many consider it to be one of their weaker albums, but if that really is, then it says something about Culture's Quality! 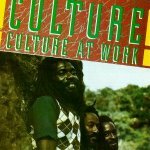 Oh yes, it's true that the music on Culture At Work is quite different then the Rockers we can find on classics such as Culture's debut Two Sevens Clash, but the music is well digestive. Especially when you realize that in 1986 (when this album was originally recorded) Jamaica was being flooded with cocaine in an attempt by Babylon System to stop the movement of Rastafari from liberating the people's minds. 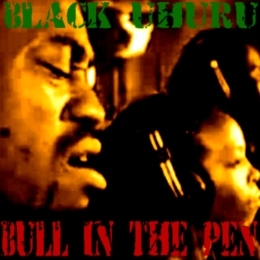 And Culture has always been on the forefront in the struggle against Babylon.